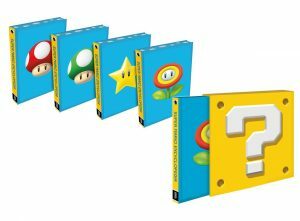 Two weeks ago, Dark Horse announced the release of the Super Mario Encyclopedia as part of their ongoing publishing partnership with Nintendo. Today, they are thrilled to announce the Super Mario Encyclopedia Limited Edition. Specific cover images cannot be requested or guaranteed. But the mystery is part of the fun! Each cover variant will be printed in equal quantities.